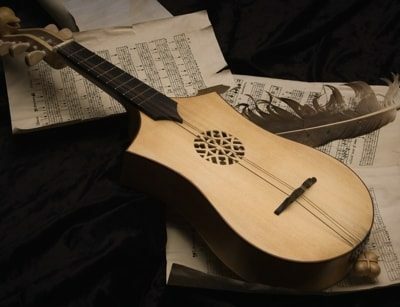 In medieval times, troubadours were traveling minstrels who composed poetry and songs to communicate the news of the day. People loved their visits because troubadours shared information through stories. Ah, information – the lifeblood of our society and civilization! Marketing Troubadour was founded because we know your business has a story to tell (and that’s essentially what marketing is, after all). If no one knows you exist, you won’t be around long. We know you want to let people know how you help your clients, how you’re different from your competitors, and why you may be just the company they are looking for. These are your stories. Our story is helping you tell your stories. At Marketing Troubadour, we view ourselves as modern day storytellers. We help organizations by serving as your outsourced marketing director. Or consultant. Or cheerleader. Or teacher. Someone who helps you craft and tell your story. To the right people. Do you think companies with a troubadour fare better than those without one? Don’t you wish you had a troubadour? Founded in 2008, but trust us, we have done this work a lot longer than that. We champion entrepreneur-led small companies. After all, you’re pouring your heart and soul into this thing. We want you to be successful. We love information. And books. And people. We have a soft spot for people who need information (and read books). We value relationships. We get to know our clients – that helps us accomplish marketing magic together. We are storytellers, truth tellers, information seekers, and dedicated professionals. We believe creativity and analytical skills are not mutally exclusive. You deserve both. Need a troubadour on your side? Contact us for a free initial marketing conversation.